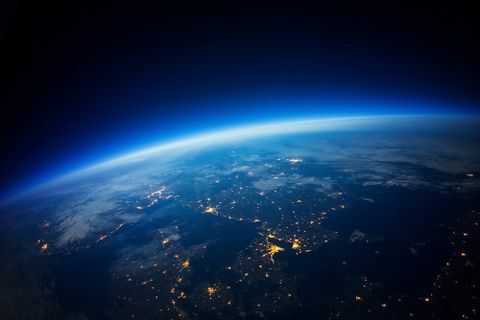 While the International Space Station (ISS) is going strong, enabling scientific discoveries in a state of the art orbiting laboratory, NASA is also working on developing pathways to explore beyond low earth orbit to deep-space destinations such as the proving ground of space around the moon, known as cis-lunar space, and Mars. In order to live and work in deep space, astronauts will need additional pressurized habitation capability beyond what the Orion spacecraft currently provides. And Orbital ATK is looking to the Cygnus product line to help fill this need. 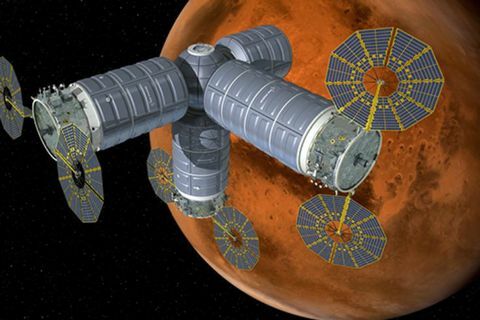 "Habitation systems and components are necessary equipment to live in space," DeMauro said. "This covers a broad range of topics from Environmental Control and Life Support Systems (ECLSS), to providing sustenance to the astronauts for their duration of their mission, to providing radiation protection to protect the astronauts for long duration missions outside the asteroid belt, and many items in between." Orbital ATK will study the functionality and enabling technologies used to supplement human space transportation systems such as NASA's Orion spacecraft to initially sustain a crew of four for up to 60 days in cis-lunar space with the ability to scale up to transit habitation capabilities for future Mars missions. “We will also develop a Concept of Operations that describes how the EAM will develop over time and how i​t will be used to help long-duration human exploration of space and provide a recommended functional baseline for the system architecture,” DeMauro said. 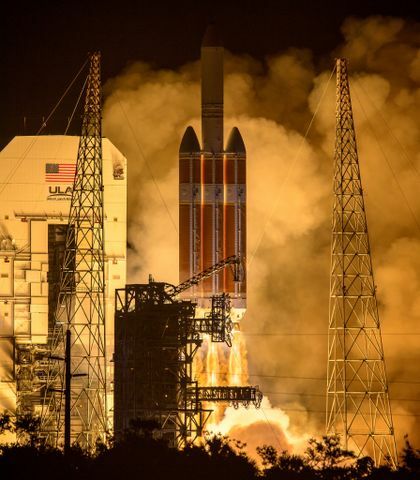 “By studying the necessary functionality for the proposed reference missions, we believe that configurations, EAM layouts, and support equipment can be recommended for further review with an emphasis on providing hardware as early as possible." 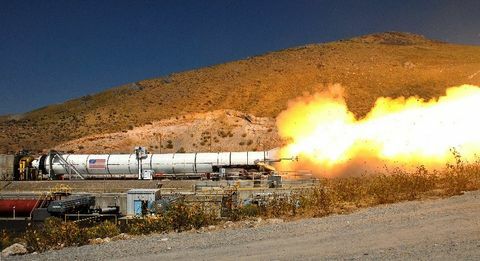 Orbital ATK will leverage the company’s experience and knowledge of systems integration and combine it with industry leading teammates in pressurized habitation systems (TAS-I) and the innovation of academia (University of Colorado - Boulder) for ECLSS. For additional information about NASA's Next Space Technologies for Exploration Partnerships, and to see the full list of awards, visit: http://www.nasa.gov/nextstep. 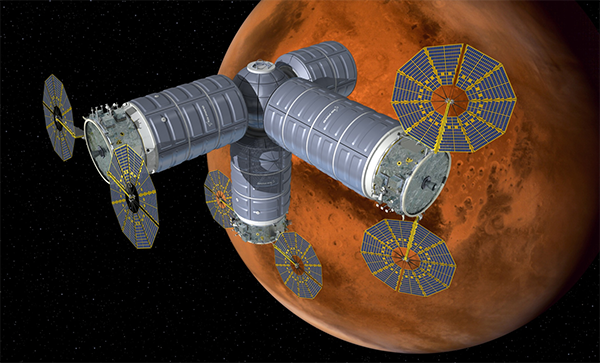 Artist concept of the Cygnus derived deep space habitat and airlock serviced by Cygnus derived logistics vehicles.